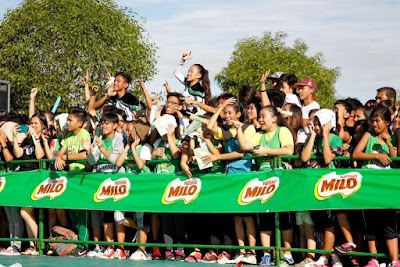 Tabal joins the league of National MILO Marathon female legends who have won three consecutive championships namely: Arsenia Sagaray (1992, 1993, 1994), and Christabel Martes (1999, 2000, 2001). 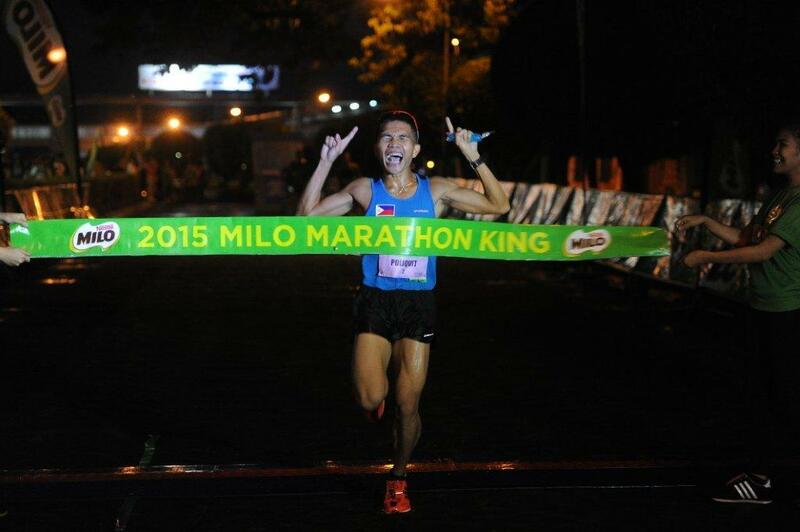 While Poliquit clinched his second consecutive MILO Marathon King title. 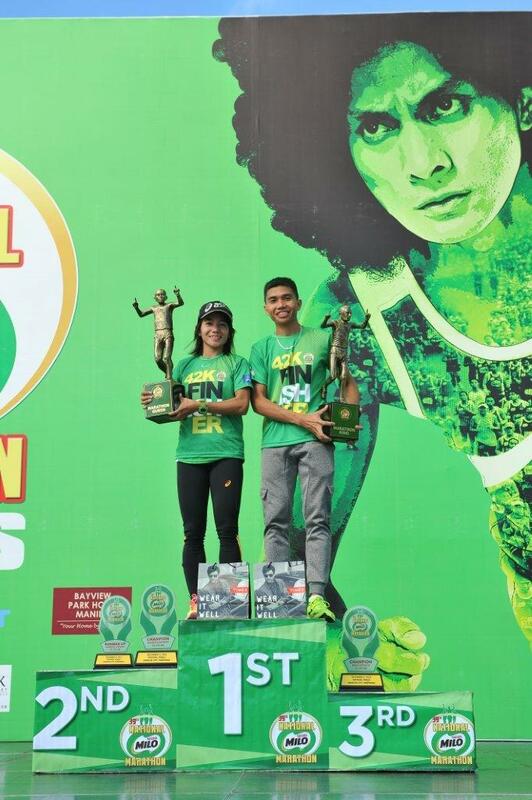 The champions received PHP 150,000 in cash and a trophy each. 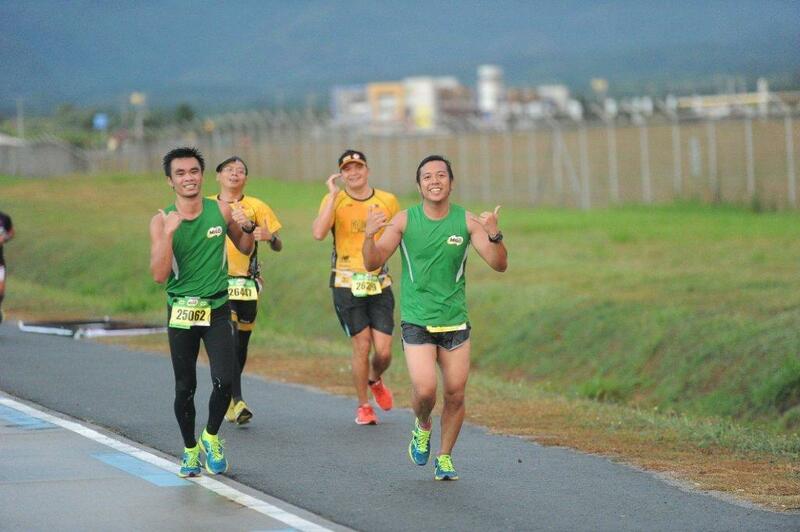 Tabal received an additional PHP 250,000 for placing second in the 42K female open category. 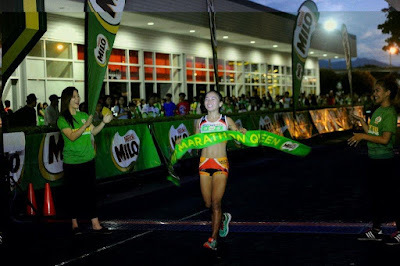 Both will also be sent by MILO to the USA on all-expense paid trips to represent the Philippines in the prestigious 2016 Boston Marathon, the world's oldest annual marathon. They did it again. Mary Joy Tabal and Rafael Poliquit stole the show as the winners of the full marathon centerpiece event of the 39th National MILO Marathon National Finals in Pampanga. It was a tight race at the top, with back-to-back champion Poliquit finishing first with a time of 02:36:12, relegating rival Juneil Languido to second place with a time of 02:36:21. 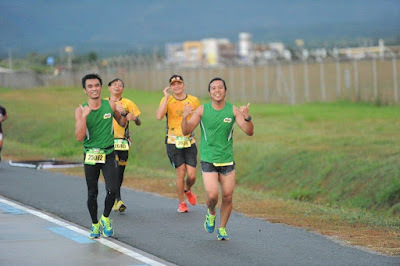 Maclin Sadia (02:37:43) followed in third. Poliquit, who was last year’s surprise winner, shared that being able to defend his title is definitely special. In the distaff side, three-time MILO Marathon Queen Tabal ruled with a time of 02:48:24, with Mary Grace Delos Santos (03:02:21) and Christabel Martes (03:02:29) placing second and third, respectively. Tabal shared that she was under so much pressure coming into the race, because everyone was expecting her to win again. Tabal joins the league of National MILO Marathon female legends who have won three consecutive championships. MILO Sports Executive Andrew Neri expressed his heartfelt gratitude for another amazing marathon season. 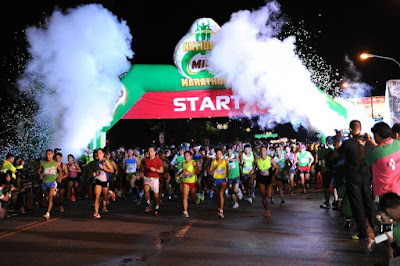 The fresh air and spacious race routes in Clark were enjoyed by the participants of 39th National MILO Marathon National Finals in Pampanga. The young crowd bursted in cheer during the Cheerleeding Competition side event of the 39th National MILO Marathon National Finals in Pampanga.